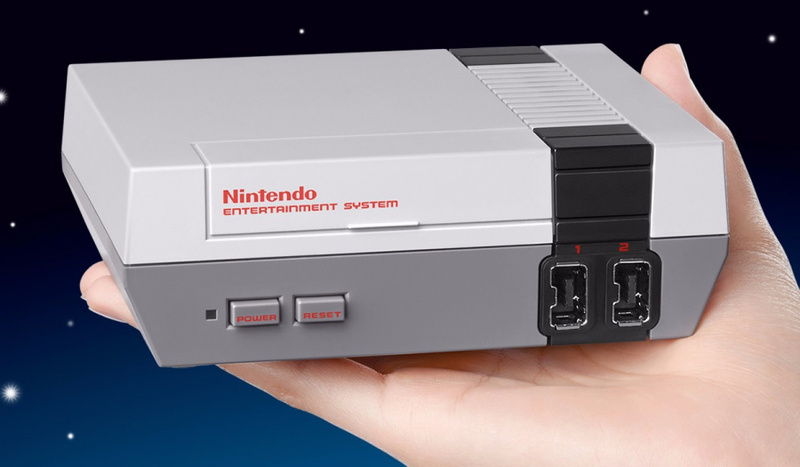 If you're keen to know more about the forthcoming NES Classic Mini then you'll be pleased to learn that Nintendo UK is going to livestream a hands-on session this week. The hour-long event will be broadcast tomorrow (Thursday 6th October, date fans) on Twitch and will feature none other than Darran Jones, the editor of award-winning UK magazine Retro Gamer. There will also be the chance to win a NES Classic Mini during the event. You'll be able to watch the entire thing on this very page, so don't forget to bookmark it and pop back tomorrow at 4PM UK time. Be sure to tune in if you want to see the system in action and learn more about its inner workings. They can have a Direct that's not needed for the NES Classic Mini but not for the NX where it is needed? Are we really going to learn anything we don't already know? Having said that, I'll probably watch it regardless though. Hour long event? Plenty of time to beat Metroid! Oh Nintendo life will the video still be available after the live event? @SLIGEACH_EIRE It's not a direct... it's just a bit of live gameplay from the Nintendo UK team... more akin to the Nintendo Minute YouTube videos the US team do than a direct. @DragonEleven Ya it's not a Direct but you know what I mean. It may as well be one. @SLIGEACH_EIRE "it may as well be one"
Nope. It's a livestream to merely show people the console in action for the first time; it's not revealing anything new about it, since we now already know all about the thing anyway. I wouldn't mind winning a NES Mini, but I'm working then. @SLIGEACH_EIRE NES Mini on a popular US morning show this morning. Not sure if you have those over there but morning shows are kind of a big deal over here w/ soccer moms and such. It's a mass market win. About 4 million people saw that this morning. NL probably would have covered it if they were US based. @rjejr Yes we mornng TV shows. We're not prehistoric. I doubt Nintendo would go on them though. Nintendo should have the NES Mini Classic at checkouts in department stores, supermarkets, etc, not just game shops. The nostalgia will appeal to a lot of people. @SLIGEACH_EIRE "Yes we mornng TV shows. We're not prehistoric." I didn't think of you as prehistoric, I considered you to be more advanced than Regis and Cathy Lee, Kelly and Michael, whatever passes as morning entertainment here. Whatever the lowest common denominator is, US tv will find it. Baywatch is practically Masterpiece Theater compared to what's on today. Talk tv, reality tv, it's all garbage. Nice stream it was. Pixel perfect looked nice. Wait. . . . I thought they'd fixed the colours with the emulation this time around, but those colours on the NES Classic Mini footage still look terribly dull and desaturated compared to the original game running natively on an old TV. I think I'll just trust GameXplain's skills in displaying such things correctly here.